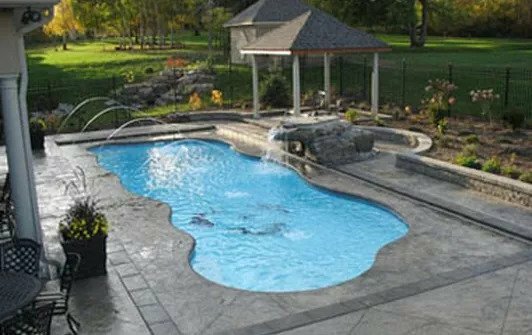 Backyard Masters is part of a 56-store buying group, which means we buy our products at the best prices from the largest manufacturers in the world, something a smaller dealer cannot do, which guarantees you the best price. Our Farmingdale showroom boasts over 30,000 square feet and shows over 30 hot tubs by Artesian Spas, Viking Spas and Bahama Spas, many fully functioning above ground, semi in-ground and inground pools by Doughboy Pools, San Juan Pools, Premier Aluminum, Esther Williams(Johnny Weissmuller), Backyard Leisure, Imperial Pools and Swim n Play, over 100 outdoor furniture sets by the best brands in the business, a huge barbecue department with Weber and Napoleon grills as well as a custom outdoor kitchen department. We are a one stop shop business with quality products for your home and backyard. Why Shop At Backyard Masters? 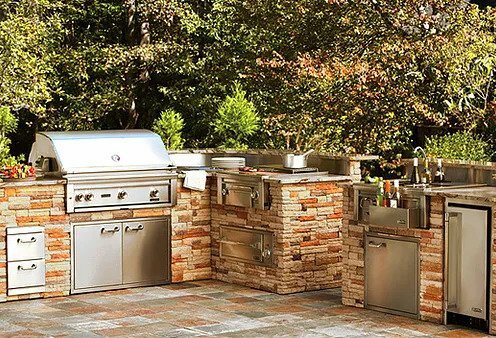 Backyard Masters exclusively represents the largest and most recognized American brand names in the business. 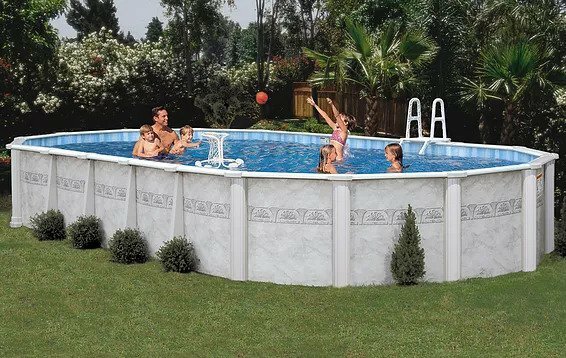 Some of our well known brands include Doughboy Pools, San Juan Pools, Premier Aluminum, Esther Williams, Backyard Leisure, Imperial Pools, Swim n Play, Artesian Spas, Viking Spas, Bahama Spas, Weber Grills, Napoleon Gourmet Grills, Backyard Comfort, Poolife, AquaComfort, Leisure Time and many more. Our knowledgable sales team of seasoned professionals is unmatched in New York. Bring us your plans and watch us make your backyard dreams a reality. Our extensive parts and service department is fully staffed with experienced professionals standing by ready to serve you. We service what we sell, and stock many parts for all items that you purchase from us. Our technicians are factory trained and certified. Backyard Masters meets all requirements of being green. 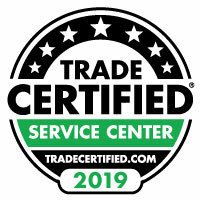 All of our products from filters, motors, ozonators, salt generators to ionizers have been specifically selected and certified as green friendly to promote this very important theme. 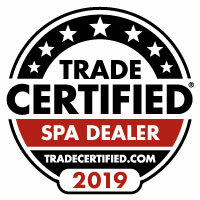 No other pool or spa store in New York has made this commitment. We have taken outdoor living to new heights. 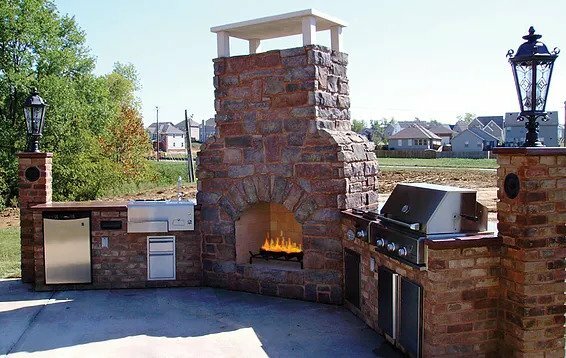 Our goal is to bring a designers touch to your outdoor living. We have the ability to create an atmosphere of quality, beauty, durability and comfort outside your home. 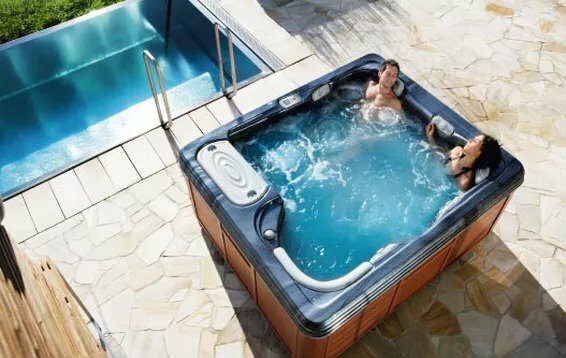 Our products are designed with the allure of indoor furniture, but have the ability to withstand all of the elements of the outside weather conditions. Most of our fabric for our furniture and awnings is made by Sunbrella, a name synonymous with superior quality and beauty. Sunbrella fabrics are also fade-proof, stain resistant, quick drying and flame retardant.